This new listing has a floor plan that is hard to find. The first floor has three bedrooms, including the owner’s suite, and the entire second floor is a private guest suite (or second owner’s suite). If you’ve lived in Charleston long, you know family and friends love to come and visit! Your private guest suite is sure to get lots of use. The space is also perfect for a roommate, teenager, office, or media room. The home has two covered porches, one on the front, and one on the back, to enjoy all the great weather we have here. You’ll love the bright and airy family room, which features a high, vaulted ceiling and three big windows that let in lots of natural light. The family room opens up to the eat-in kitchen, which has a breakfast bar, black electric appliances, and pantry closet. The U-shape of the kitchen gives you ample storage and counter space, so there’s plenty of room to prep meals while you entertain family and friends. In addition to the three bedrooms on the first floor, there’s a full guest bath in the hallway, and a laundry room. The owner’s suite has a 10-foot walk-in closet, and a private bathroom with a garden tub, separate shower, and double vanity. The Brickhope Greens community offers several ponds and a dog park for residents to enjoy. 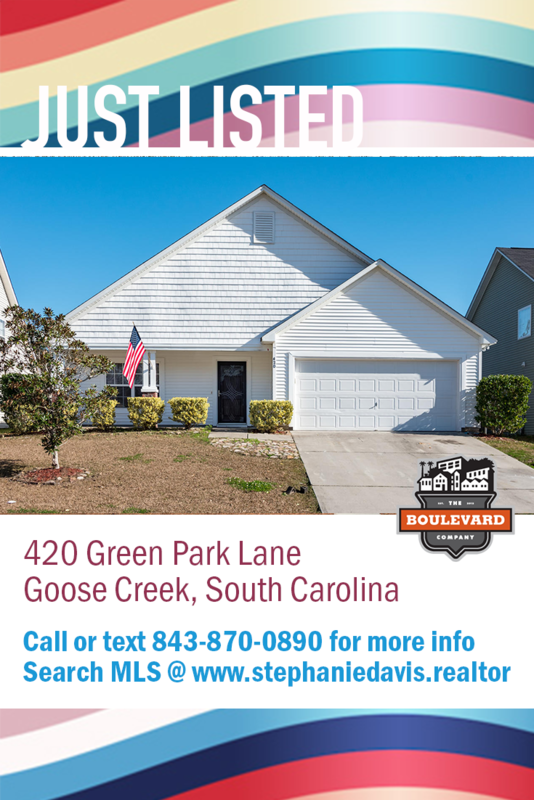 This home is just three miles from the Naval Weapons Station entrance, and three miles from all the conveniences of Goose Creek’s city center. This home is move-in ready! Take a walk through here: https://youtu.be/p7oL2nh-aEU. Call me at 843-870-0890 to schedule your private showing today! !